A complete presentation binder package. 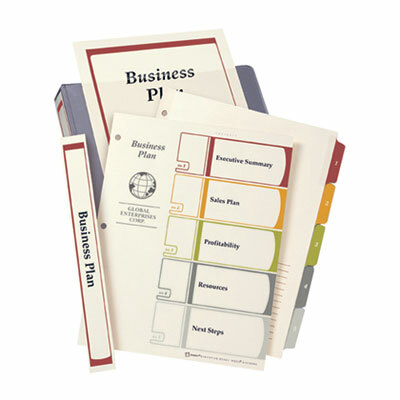 A coordinated kit that includes a printable table of content page and matching dividers. Binder cover page and spine inserts. Warm earth tones match the preprinted tabs on white dividers. Many easy-to-use Avery® templates for Microsoft® Word® and other popular software programs. A complete presentation binder package with a coordinated kit that includes a printable table of content page, matching dividers, binder cover page and spine inserts. Many easy-to-use Avery® templates for Microsoft® Word® and other popular software programs. Warm earth tones match the preprinted tabs on white dividers. Three-hole punched for use in standard ring binders.